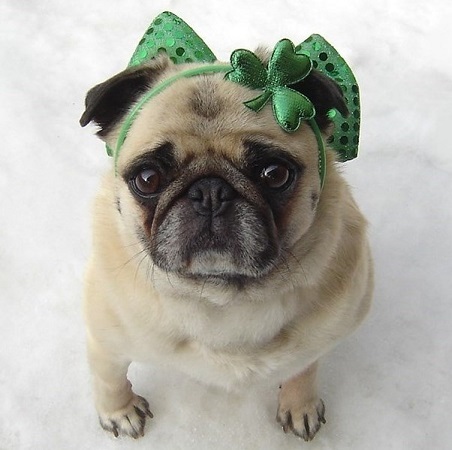 Cute Pug St. Patrick ngày Diva. . Wallpaper and background images in the All Small chó club tagged: pug patrick patrick's holiday irish cute funny dog pets costume.